Shoppers won't be the only ones lined up outside Walmart on Black Friday. For the third year in a row, workers plan to protest outside stores. Shoppers lining up at Walmart for deals on Black Friday may have to contend with more than the throngs of other bargain hunters. A group of Walmart workers is planning to protest at stores on one of the busiest days of the holiday season asking for higher wages and fair schedules. This will be the third year of Black Friday demonstrations in a row. Protests are planned at 1,600 Walmart locations -- the most ever -- according to organizers from the union-backed group OUR Walmart. Since plans are still in the works, the group could not say how many workers would actually show up. Protesters gathered at about 1,200 stores last year, according to the group, but Walmart says that number is inflated. It's not only Walmart workers who will participate. Teachers and other community members are also expected to join. Workers want to be paid at least $15 an hour, they want to be given more hours and to be given more consistent schedules. They're also accusing the retailer of retaliating against workers who have protested against the company before. "There's nothing further from the truth," said Walmart spokeswoman Brooke Buchanan. But the National Labor Relations Board, which protects the rights of workers who organize for better wages, also alleges that Walmart unlawfully threatened or disciplined employees at more than a dozen stores for legally protected strikes and protests. Nineteen workers were fired for protesting and about 40 others were threatened or disciplined, according to the NLRB. Walmart (WMT) has said it acted within its rights under the law. The latest hearing in that case was in June and no decision has been made yet. Walmart worker protests tend to gain momentum around Black Friday, but protests occur throughout the year. 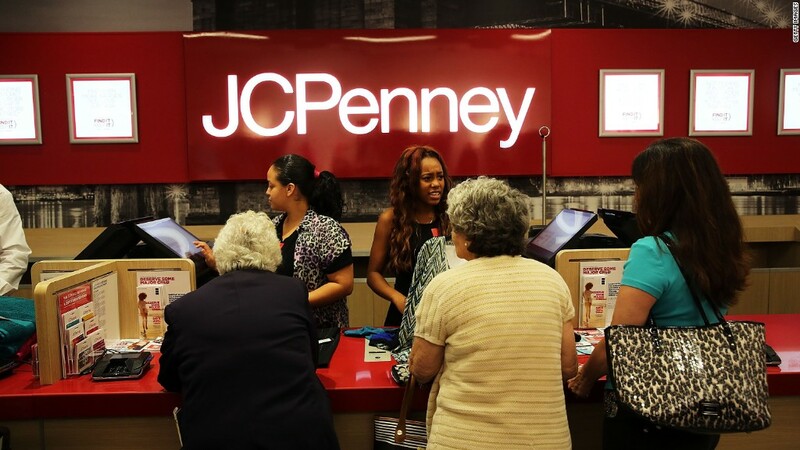 On Thursday, workers staged a sit-in at a store near Los Angeles. Twenty-six protesters were arrested for civil disobedience after moving to a second store, the union group OUR Walmart said. 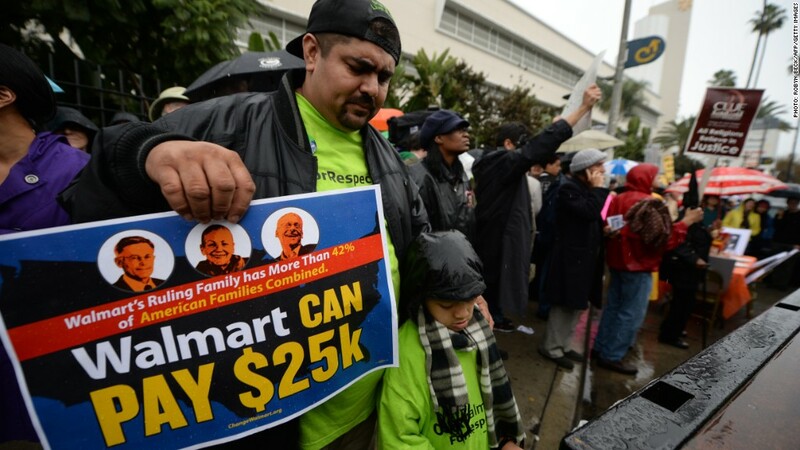 Demonstrators sat in store aisles holding signs asking Walmart to "stop the illegal threats." One month ago, 42 workers and other demonstrators were arrested in New York and D.C. for protesting for higher wages. Some were arrested outside the upscale Park Avenue home of Alice Walton, the billionaire daughter of Walmart's founder.